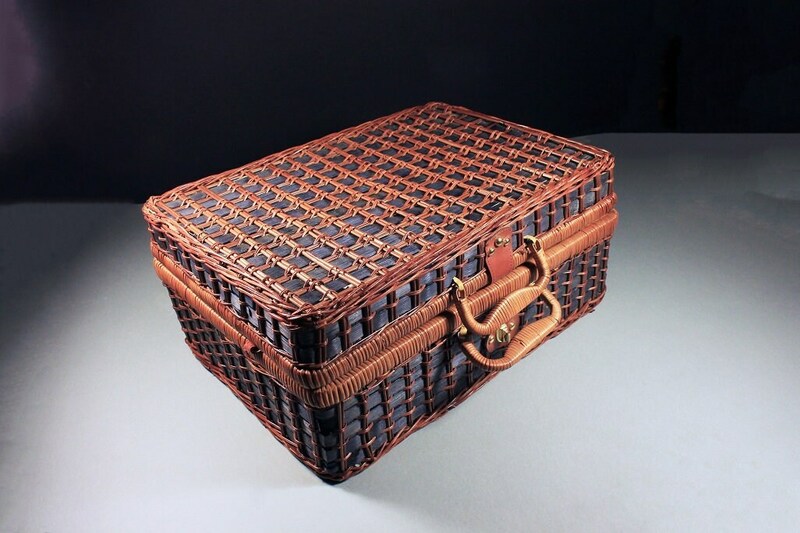 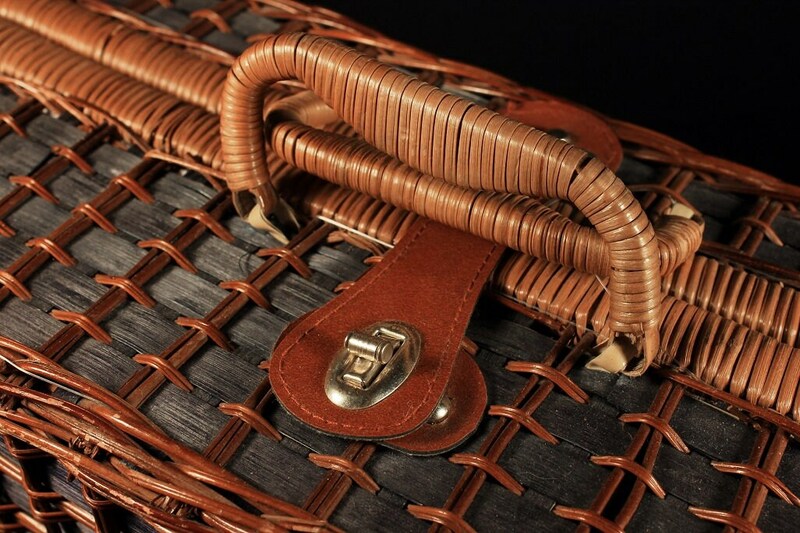 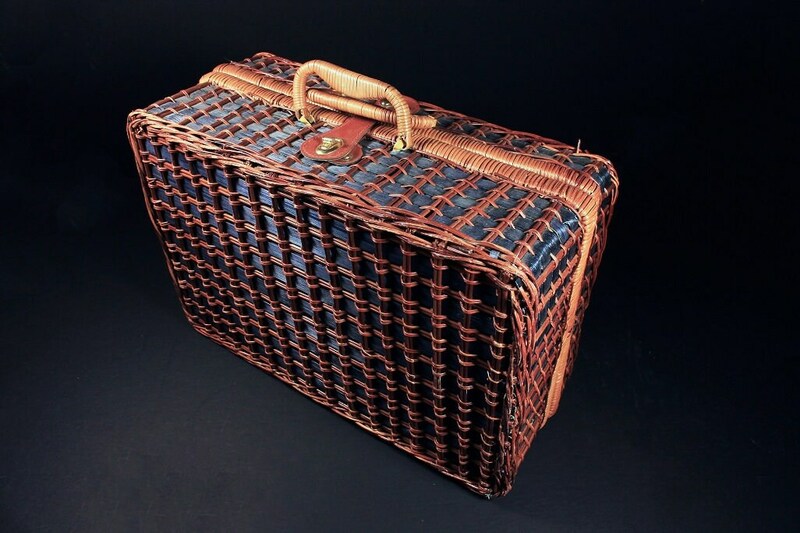 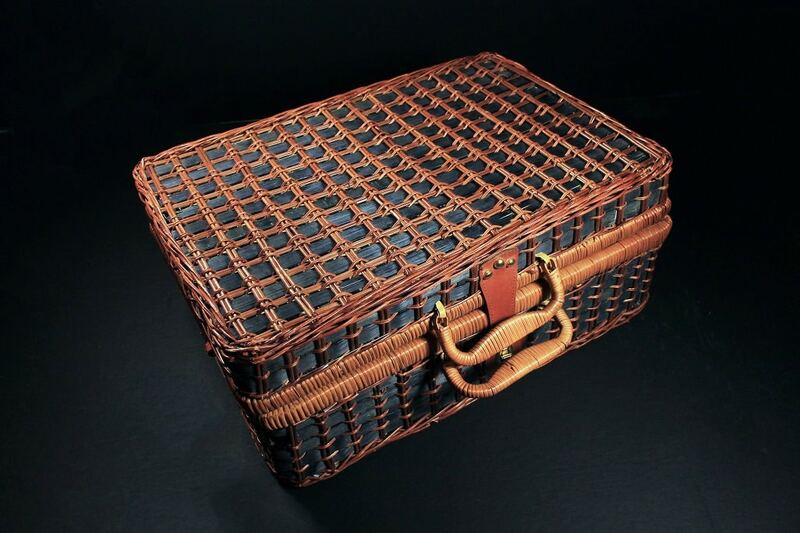 A wonderful wicker and rattan suitcase-style picnic basket. 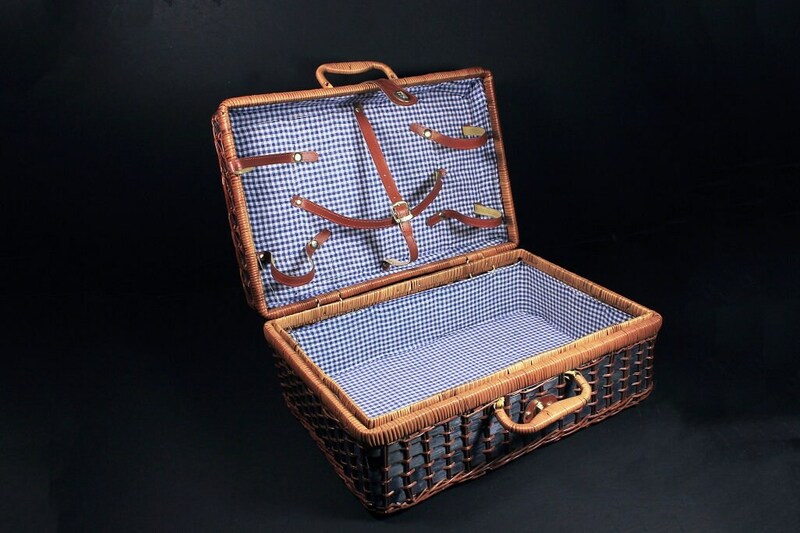 This hamper is blue gingham lined and has leather straps to hold plates and glasses. 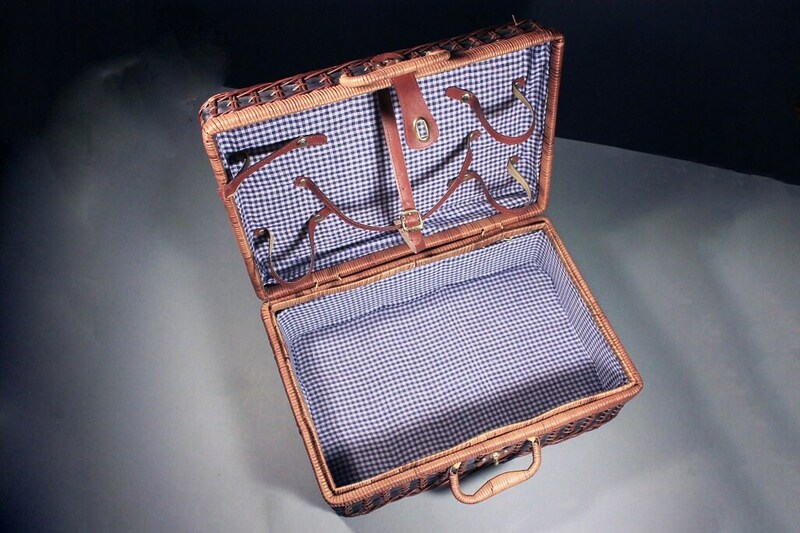 It would also make a great small storage case. 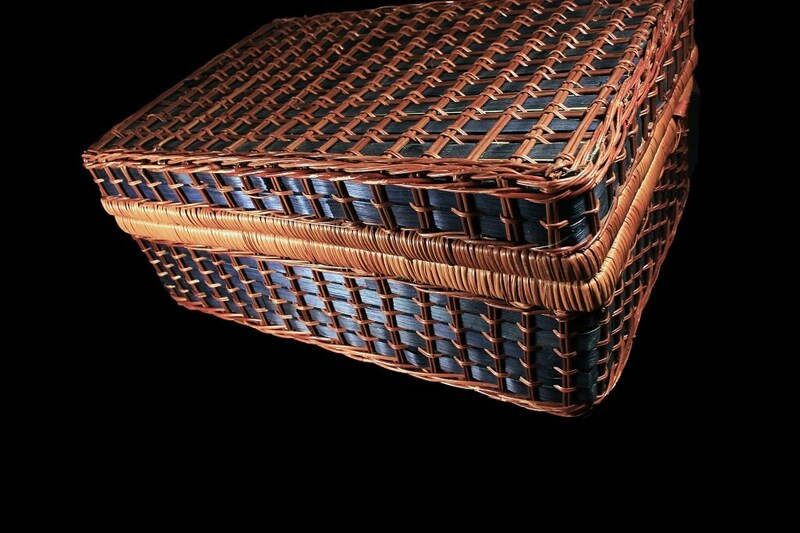 A fantastic wicker basket case that is very versatile, it could be used as a picnic basket, sewing box, storage box. 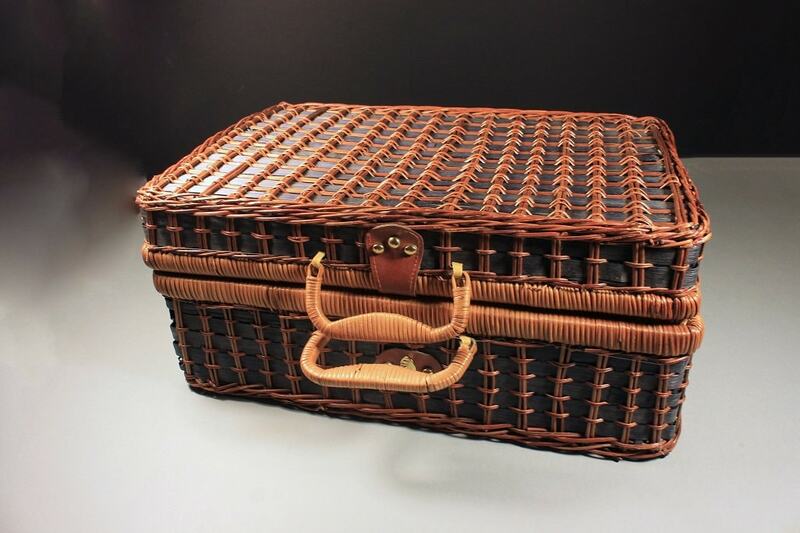 This is in great condition. 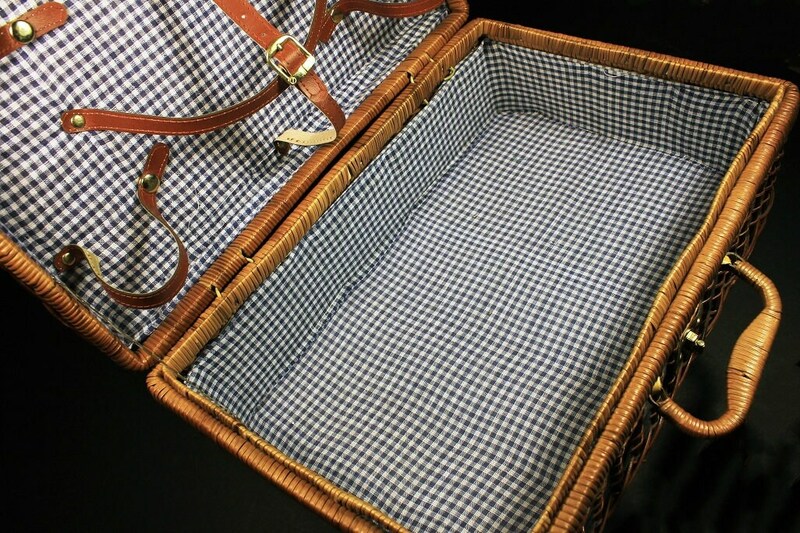 The wicker and the rattan have no broken pieces and the gingham is clean and has a light padding underneath.